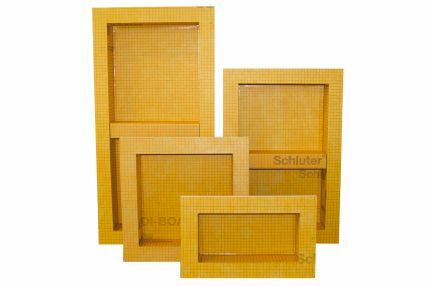 How thick are the Schluter-KERDI-SHOWER shower trays? 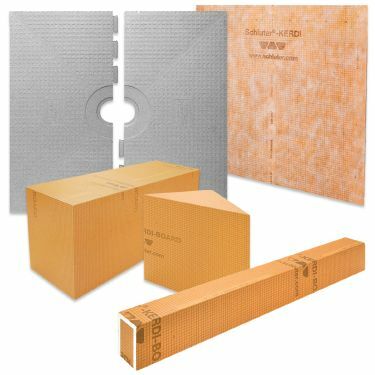 Do I install the Schluter®-KERDI-BOARD-SC shower curb or Schluter®-KERDI-BOARD-SB shower bench on top of or adjacent to the Schluter®-KERDI-SHOWER- T/-TS/-TT shower trays? My shower isn’t the same size as the Schluter®-KERDI-SHOWER-T/-TS/-TT trays. 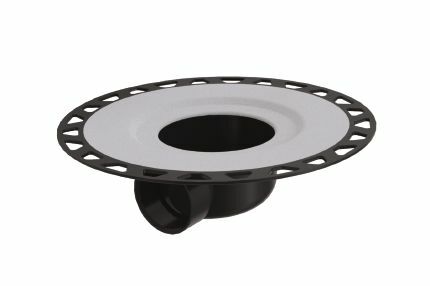 Can I modify the tray to fit my shower? 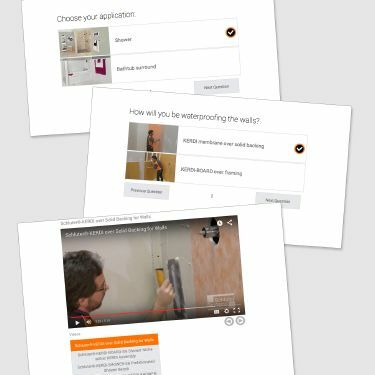 What are the Schluter®-KERDI-SHOWER and Schluter®-KERDI-BOARD prefabricated substrates made of? Can they really support the tile assembly? 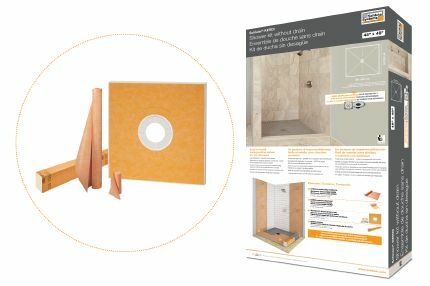 Is there a minimum tile format requirement when using the Schluter®-KERDI-SHOWER- T/-TS/-TT prefabricated foam shower trays? There is no minimum tile format in general. However, if mosaic tiles will be used and exposed to heavy loads a mortar base is recommended. 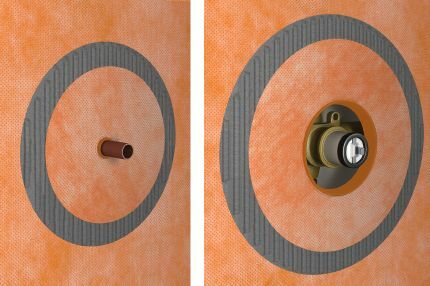 Do the new Schluter-KERDI-SHOWER–T/-TS/-TT shower trays with integrated KERDI membrane require additional waterproofing after installation? 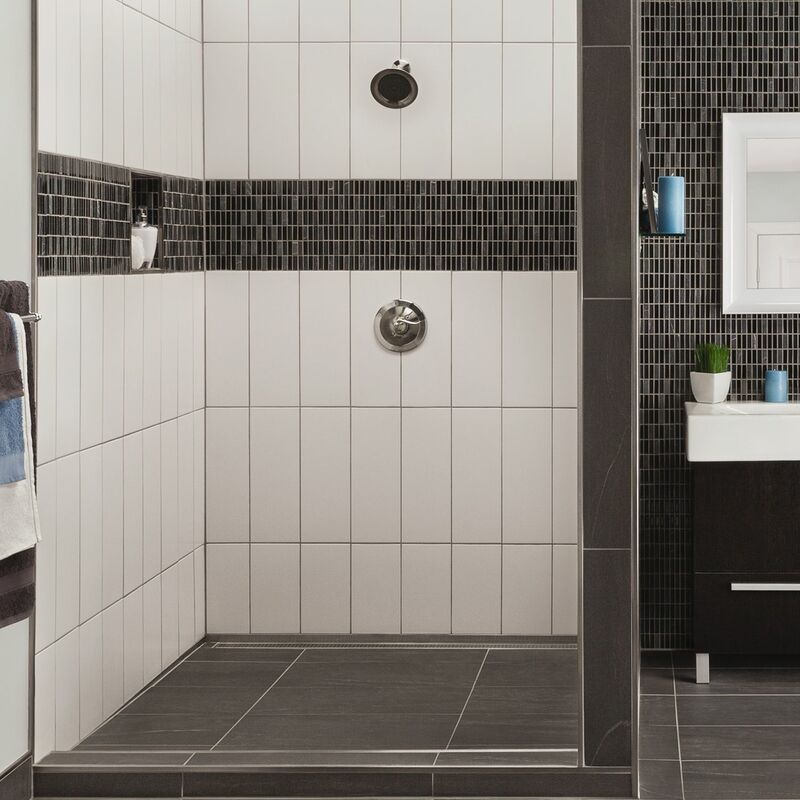 Open concept, or curbless showers are increasing in popularity due to their sophisticated yet simple design, and accessibility. 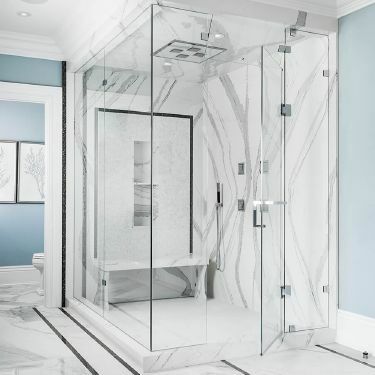 Find out about waterproofing requirements for residential steam showers. 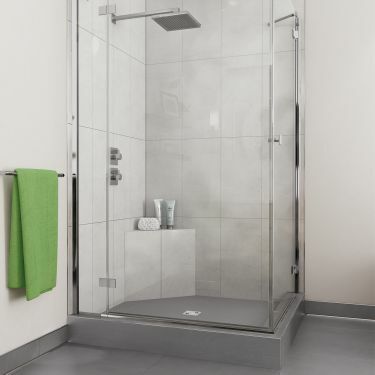 Find out about waterproofing requirements for commercial steam showers. 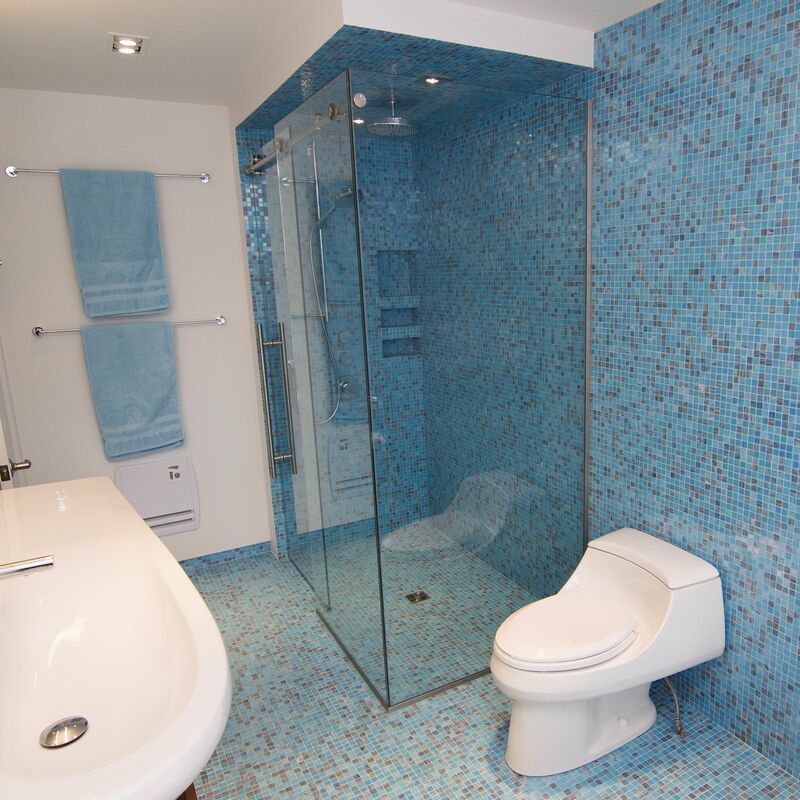 Tile showers must be thoroughly waterproofed to provide reliable performance. 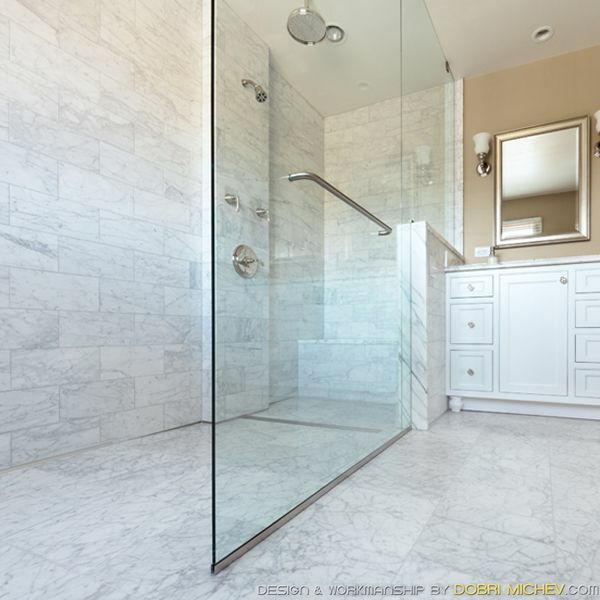 But properly waterproofing a shower area takes time and for professional tile installers, time is money. 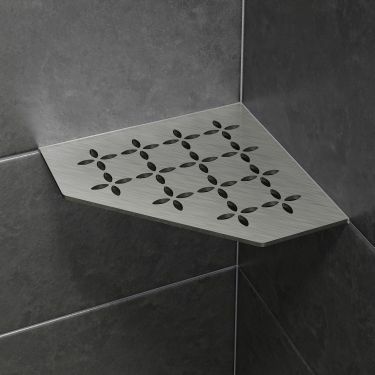 Complement your shower drain with a matching SHELF. Designed for tiled walls, these brushed stainless steel shelves can be installed either in tandem with the tile, or as a retrofit application—without the need for any screws or fasteners. 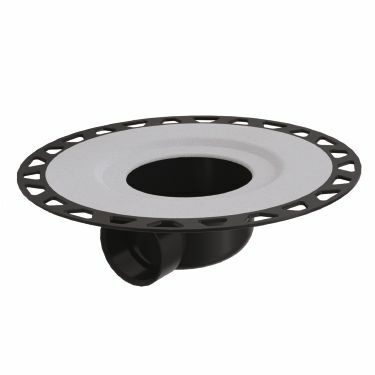 What size spacers should I use, if I need to install the drain before the KERDI-SHOWER-T/-TS/-TT tray? There are two sizes of spacers included. Please refer to the diagram below to find your tray size. 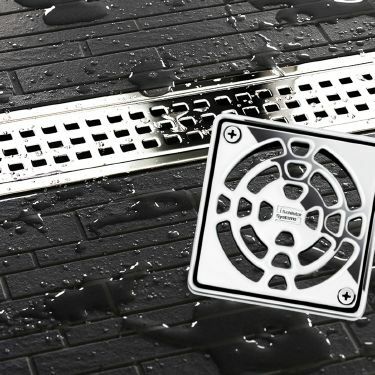 Find out more about effective moisture management and drainage for showers with point drains. 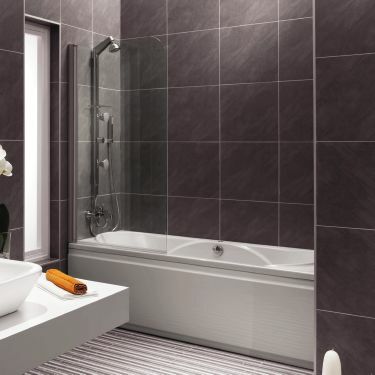 Find out more about effective moisture management and drainage for showers with linear drains. 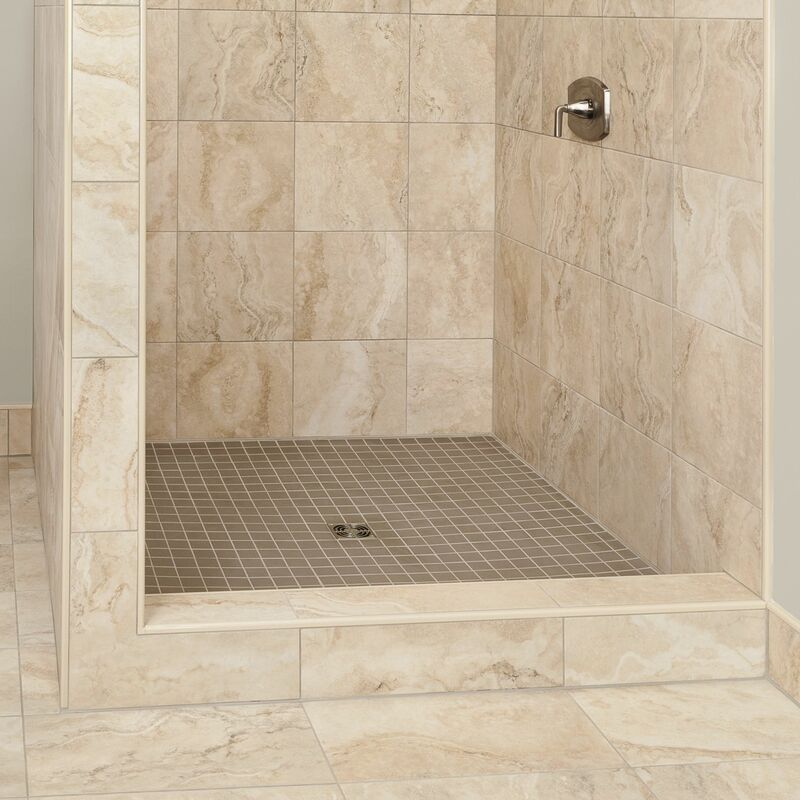 Neo angle shower bases are very common in situations where space is at a premium and the homeowner wants a quality tiled shower. 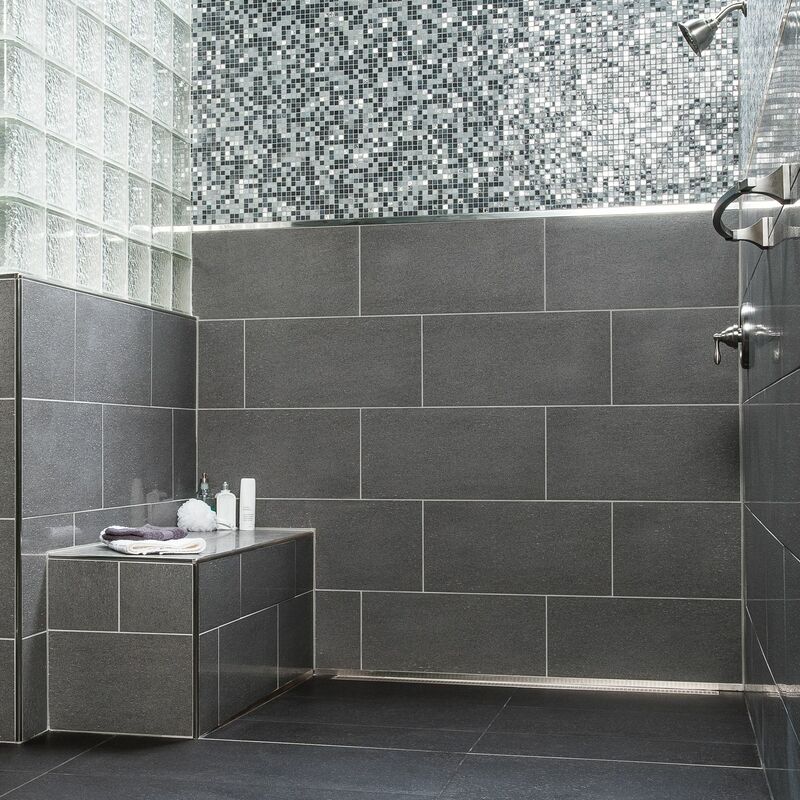 A shower niche is an ideal spot to keep shampoos and soaps in a tiled shower. 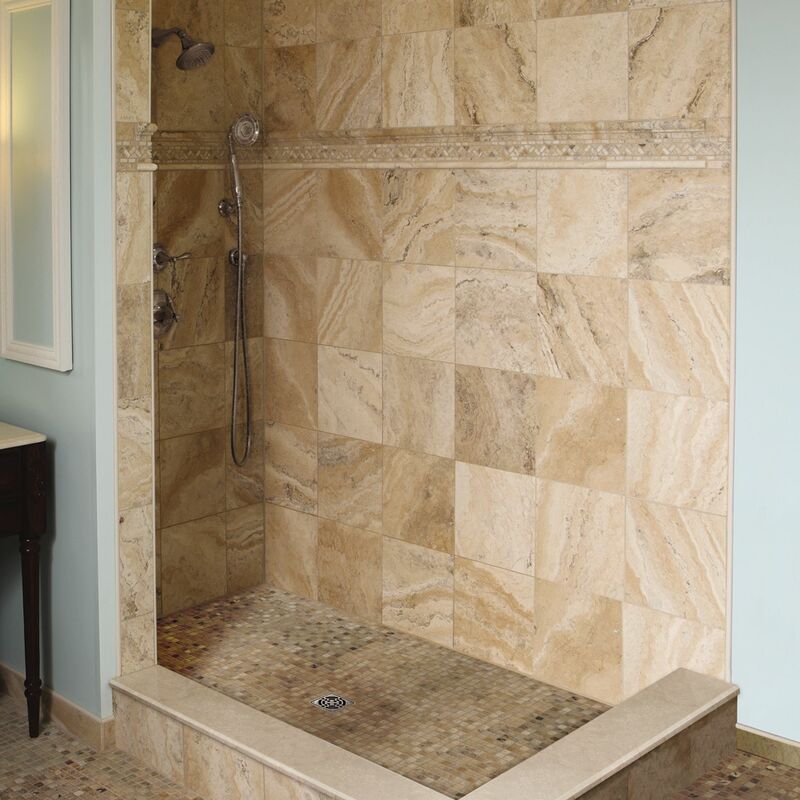 But building a fully waterproof, properly sealed tiled shower niche can be a detailed and time consuming task. 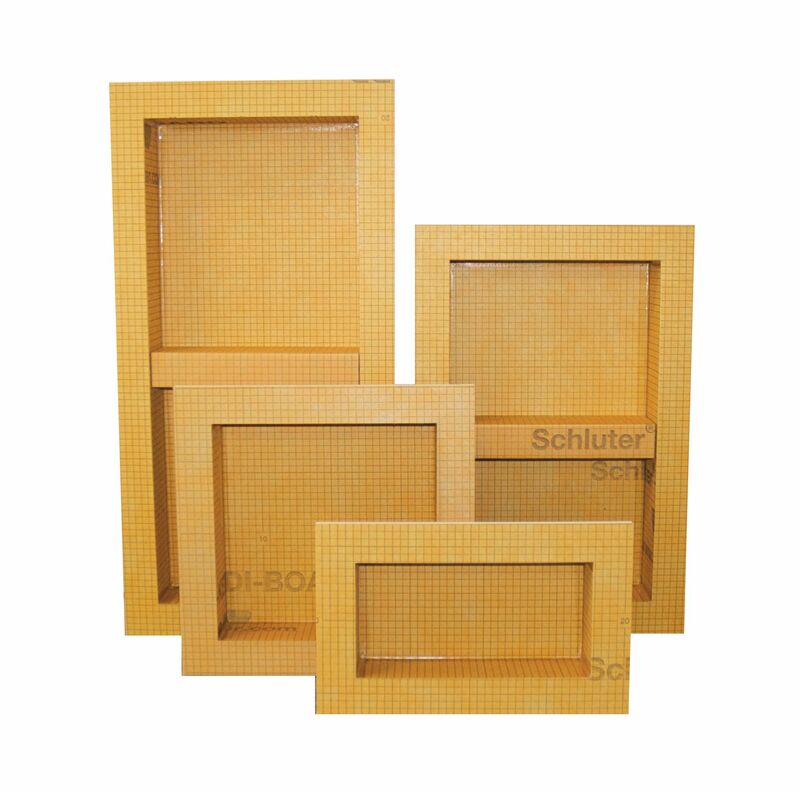 Schluter-Systems has developed four prefabricated and completely waterproof shower niches that are ready to tile. 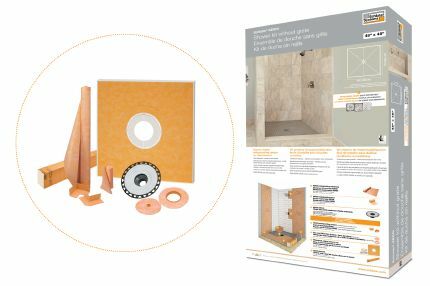 Kerdi-Board Kit Simplifies Shopping and Installation for Tile Projects.Tiled shower walls are luxurious, hygienic, and easy to maintain. Introducing the new Shower Trays for KERDI-DRAIN and KERDI-LINE: Integrated waterproofing. Improved strength. Thinner formats. 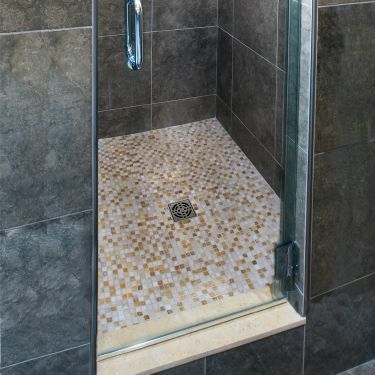 Relocating a drain for a shower can be extremely challenging and potentially expensive in many remodeling and renovation situations. 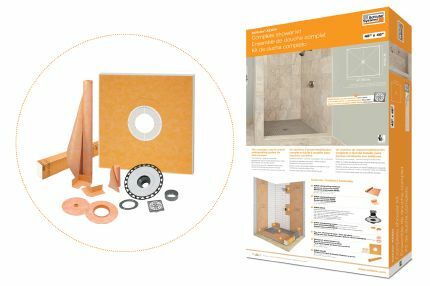 Can I use Schluter®-KERDI in my steam shower? 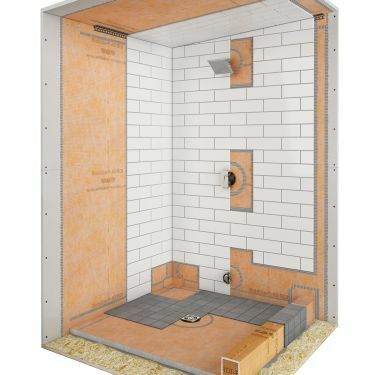 Can I install Schluter®-KERDI over drywall in my tiled shower? Yes. 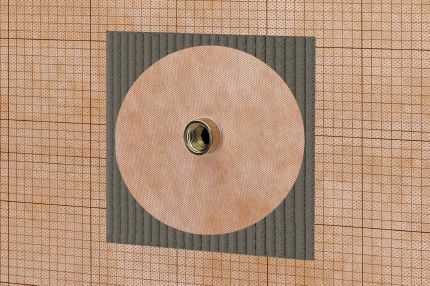 Once you install KERDI over the drywall panels, they will be completely protected from the water and vapor in your tiled shower. 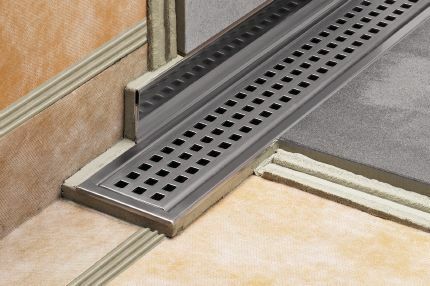 To help create unique spaces more easily, Schluter-Systems is now introducing 16 new prefabricated, sloped trays for showers with the KERDI-DRAIN point drain and KERDI-LINE linear drain. 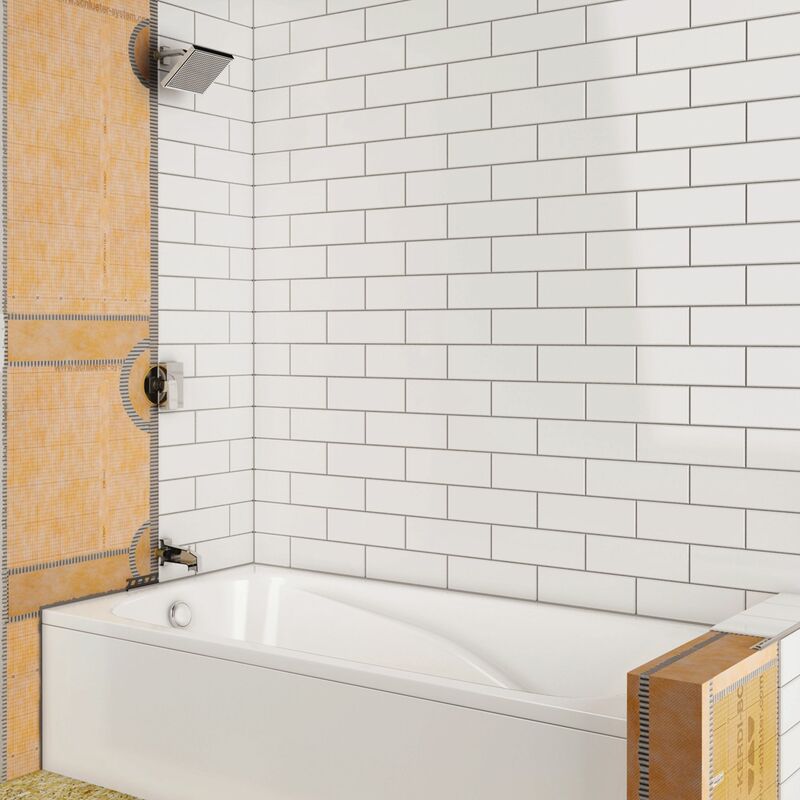 Find out how to waterproof the walls surrounding your bathtub. What is the largest size hole I can cut in the subfloor for the drain? The maximum would have a 5” diameter. 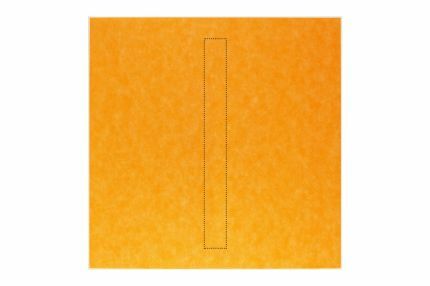 A template is included in the drain kit box to guide the application. 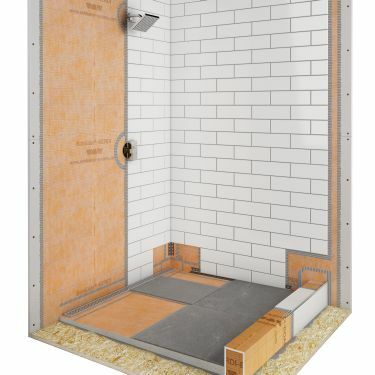 When framing a Schluter®-KERDI-BOARD-SN shower niche with Schluter®-RONDEC, do I use inside or outside corner accessories? 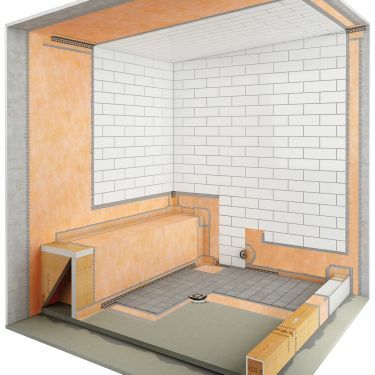 Can Schluter®-DITRA-HEAT-E-HK heating cables be installed on a shower bench? 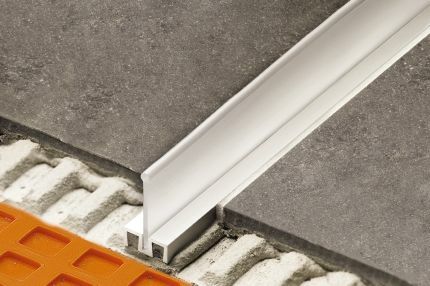 Can the Schluter®-KERDI-BOARD-SC shower curb be trimmed to my desired size? How do I receive a lifetime warranty? A shelf is a near necessity in a shower. 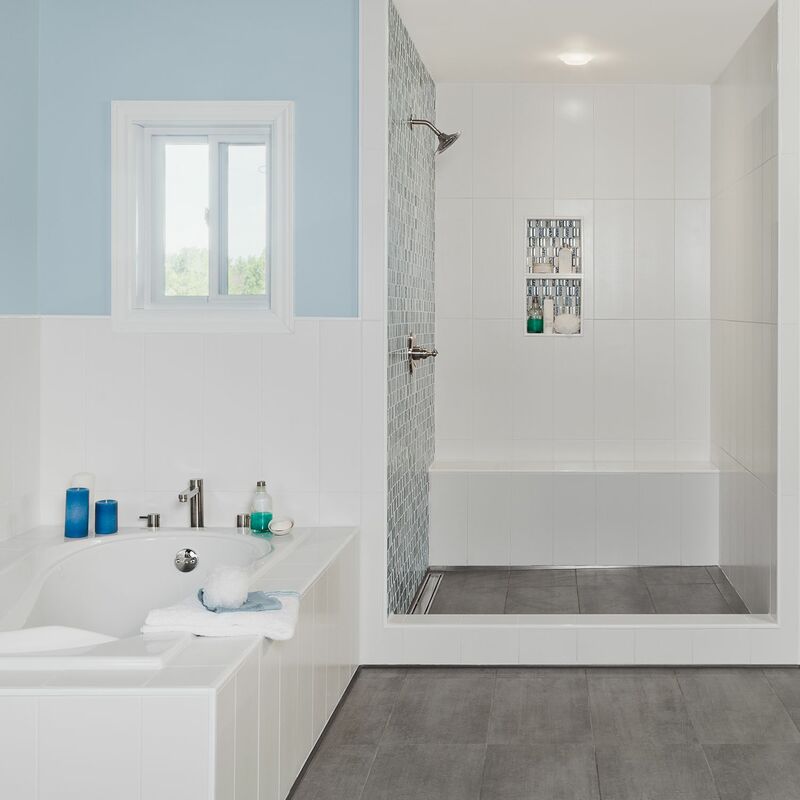 The most common solution in a tiled shower is for the installer to construct a shelf using a tile covering that matches or accents the tiles in the shower area. What kind of sealant should I use? Create your KERDI-BOARD shower bench to your own specifications to fit any shower. 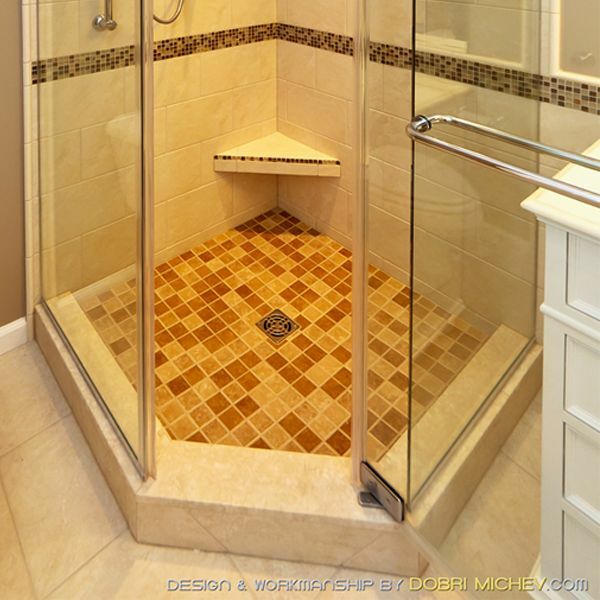 Need separate shower stalls or a divide in your shower? 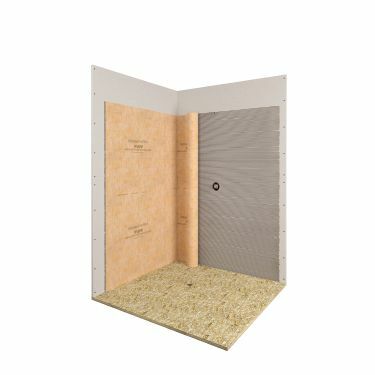 Build a customized KERDI-BOARD partition wall! 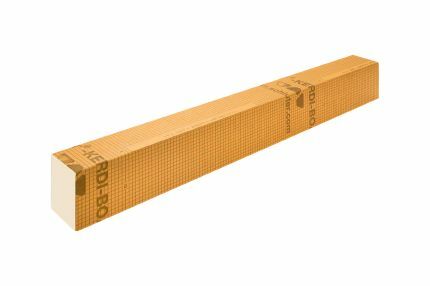 Can the Schluter®-KERDI-BOARD-SB be trimmed to my desired size? 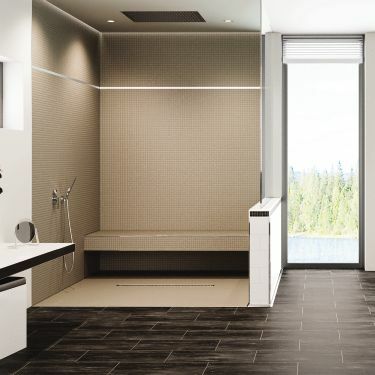 Tile installers, like any professional contractors, want to do their jobs faster without compromising their quality standards or driving up their material costs. 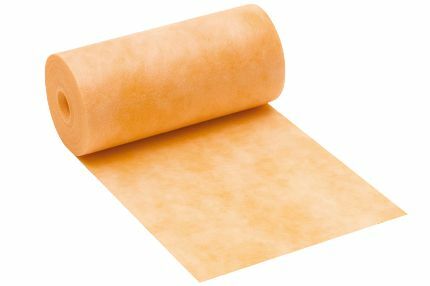 To help installers achieve this goal, Schluter Systems is providing its Kerdi waterproof membrane in a roll twice as wide as the previous roll. 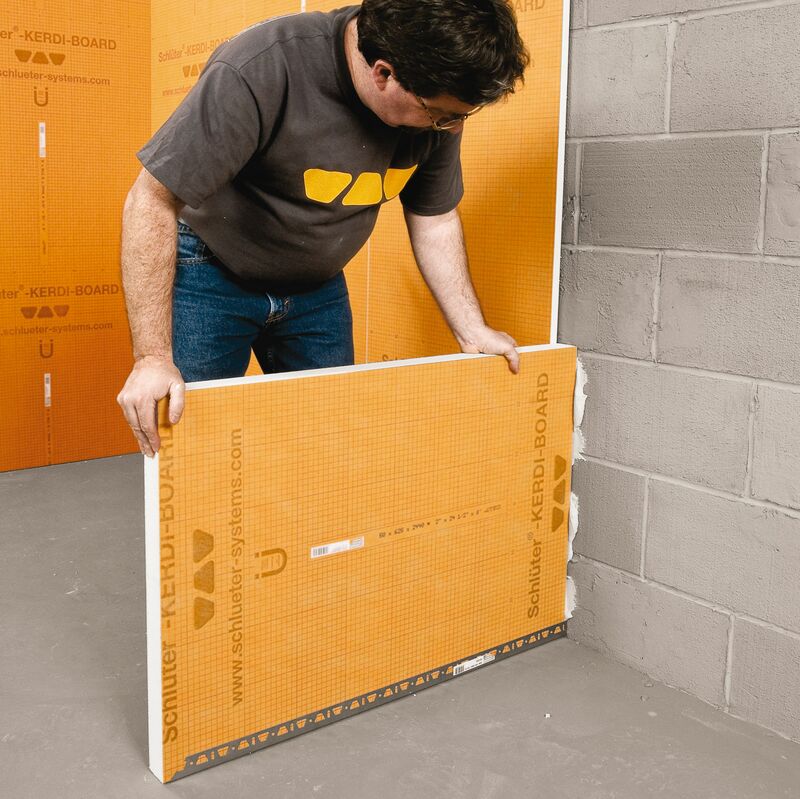 How far up the wall do I need to install the Schluter®-KERDI? 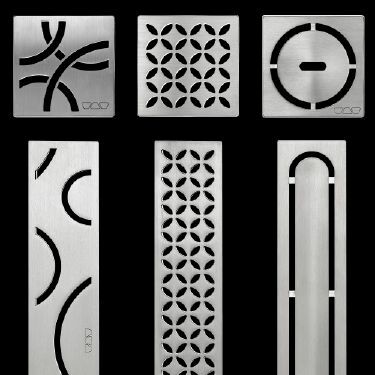 The new KERDI-LINE drain is an elegant low-profile alternative to traditional shower drains. 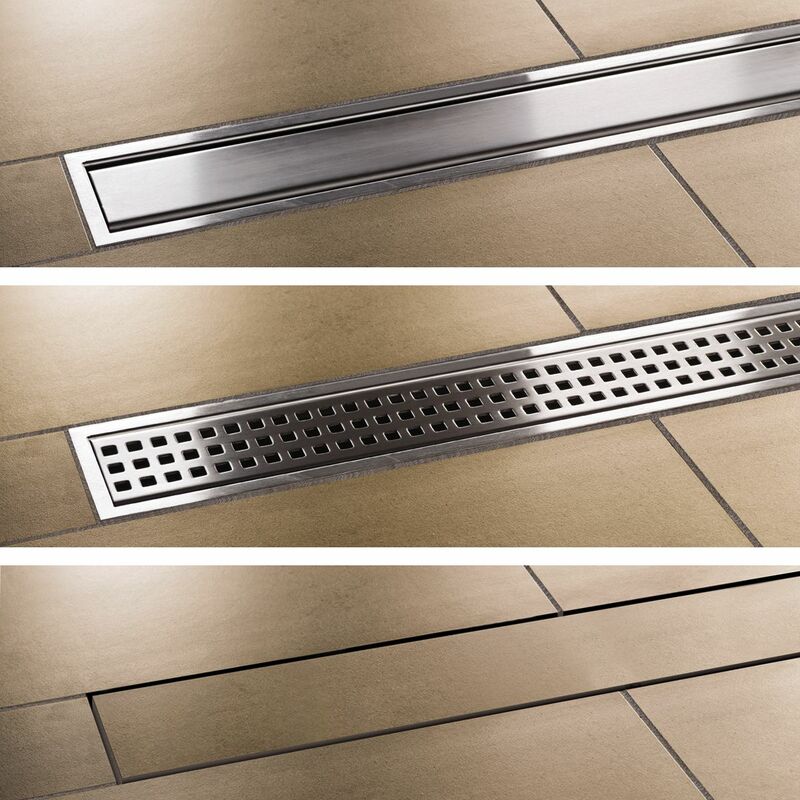 This sleek and versatile linear drain is easy to install and offers an interesting array of design opportunities, including wheelchair-accessible showers. 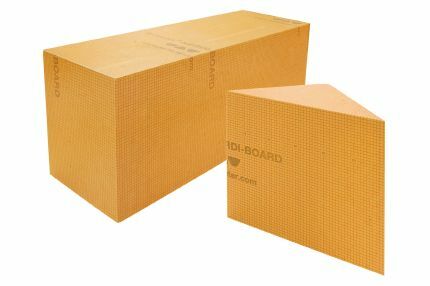 How do I connect Schluter®-KERDI-BOARD to a bathtub? 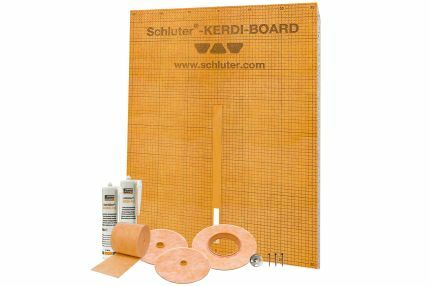 How do I seal Schluter®-KERDI to a bathtub? Can I use Schluter® mortars in a submerged application (e.g., water feature)? 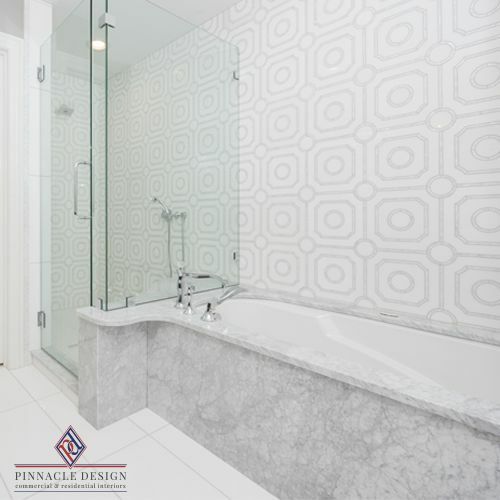 Chrome is a very durable, attractive, and low maintenance finish that is often used for fixtures and other components in bathrooms and shower areas. 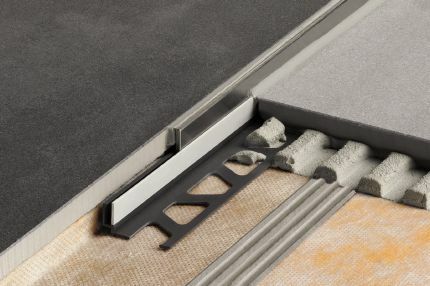 Is there a minimum required tile thickness for applications using the SHELF-N niche shelves? 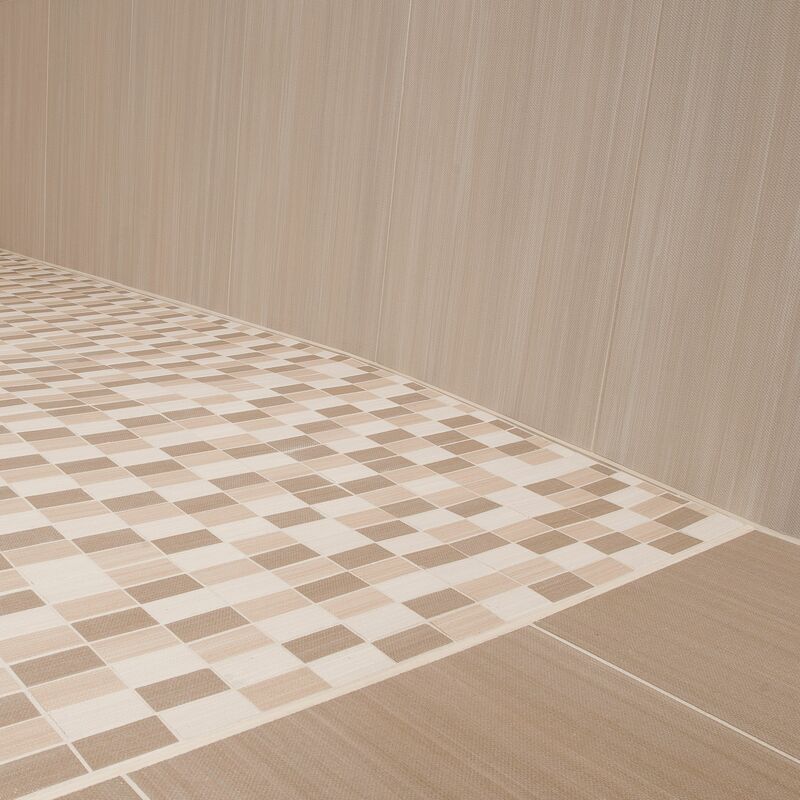 No, applications using SHELF-N in the Schluter®-KERDI-BOARD-SN shower niche can incorporate any thickness tile. 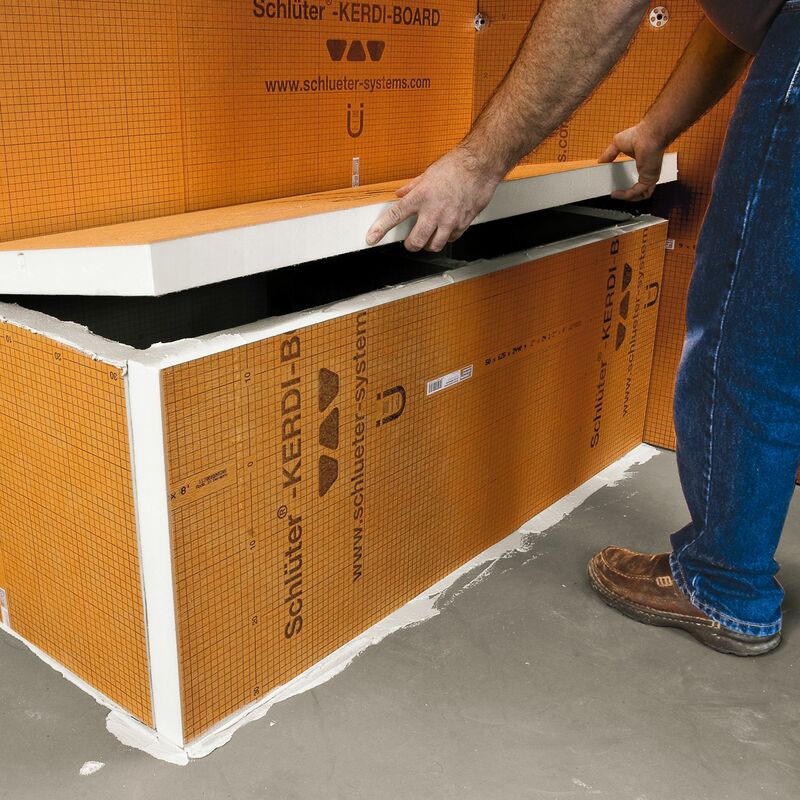 Can the Schluter®-KERDI-BOARD-SC prefabricated shower curbs support the weight of a glass door or glass block wall? Yes, these curbs will support these installations. 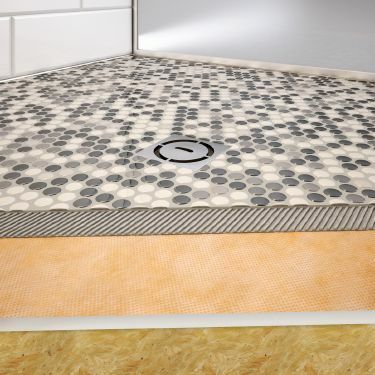 Can I use a premixed thin-set mortar to install Schluter®-KERDI and tile in my shower? No. 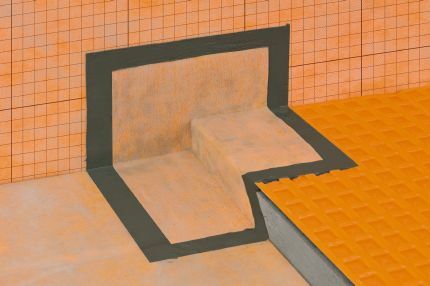 Schluter®-Systems does not recommend the use of premixed thin-set mortars (mastics/adhesives) in any KERDI installation. 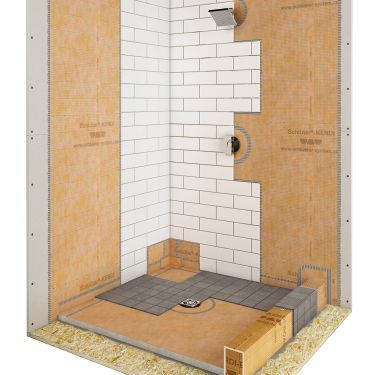 How do I install the prefabricated shelf in the Schluter-KERDI-BOARD-SN shower niche? I’m installing Schluter®-KERDI over drywall in my shower. 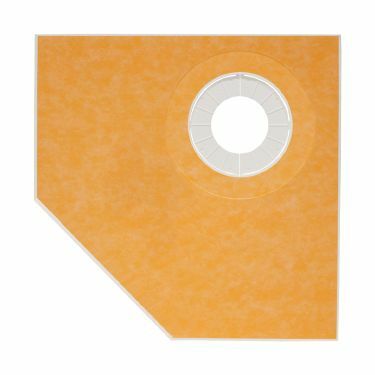 Do I need to tape the joints between panels before installing the KERDI? What is the maximum load rating for the different shelves? Can I use a SHELF as a foot support while I’m shaving my legs in the shower? What is a system warranty?